If you are ready to put an end to harassing phone calls, letters from creditors, and the stress of watching your financial situation spin out of control, you have come to the right place. We can help you stop creditor actions against you, including foreclosure, repossession, lawsuits, and wage garnishment. For nearly three decades Orlando bankruptcy law firm Clark & Washington has been providing counsel and support to those enduring tough financial circumstances. Through this time we have grown to become one of the largest filers of bankruptcies in the southeastern United States, with bankruptcy attorneys in Tampa, bankruptcy attorneys in Atlanta, and other offices in Georgia and Tennessee. Our experience and resources allow us to take on the toughest Orlando bankruptcy cases and offer our clients a level of service unmatched by any other firm. 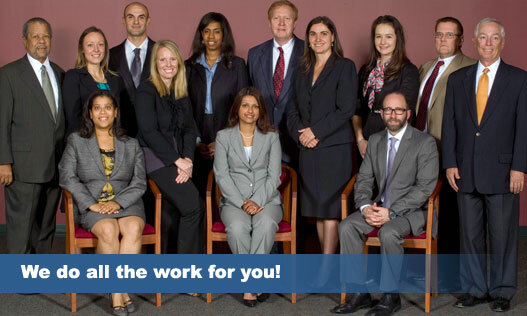 The Orlando bankruptcy attorneys at Clark & Washington work solely on personal bankruptcy, making you our top priority. We offer free consultations, reasonable pricing, and convenient office hours and locations to ensure that your Orlando bankruptcy filing is a hassle-free experience. Our clients have access to the most knowledgeable and experienced Orlando bankruptcy attorneys in the business. We will be by your side every step of the way, from the first meeting until your case is discharged. Every member of our staff is extensively trained in Orlando bankruptcy filings and ready to answer your questions. At Clark & Washington, we know that you have enough to worry about as it is, so we will handle every aspect of your Orlando bankruptcy case, from completing forms and documents to representing you in court hearings. Unlike other Orlando bankruptcy law firms, we never leave our clients in the dark. We will help you understand the entire bankruptcy process and assist you through every stage of your case. Do not let the weight of debt drag you down. 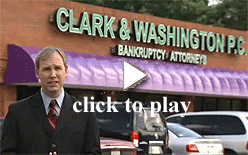 Let Clark & Washington put you on the path to financial recovery. You do not have to go through this challenging time alone. We have successfully freed thousands of clients from debt, and we can help you too. If you are ready to speak to an Orlando bankruptcy attorney about your financial future, call Clark & Washington today at 407-898-0299 to schedule a free consultation.